This rustic wood sign that says Forget Glass Slippers this Princess Wears Boots in black is the perfect wall décor for the living room, entryway, office, kids room, or even your room. 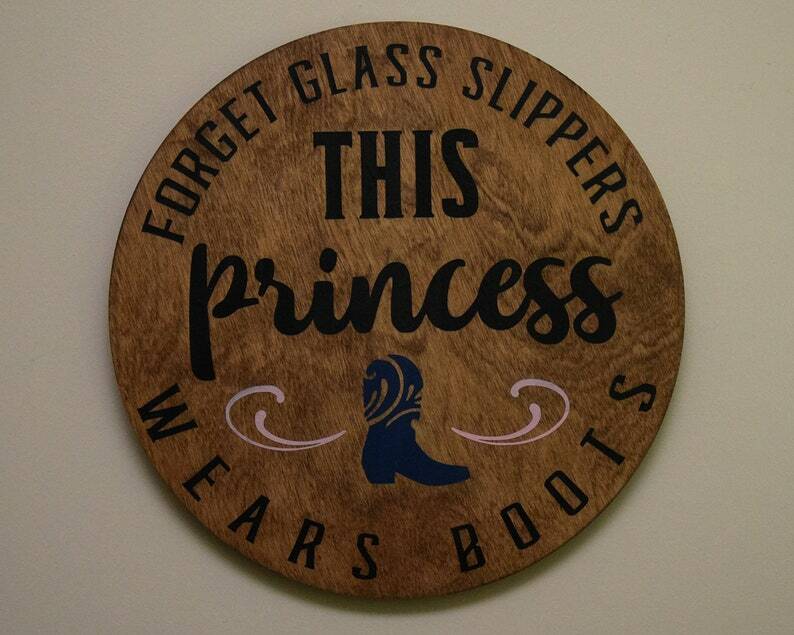 This round sign makes a great gift for yourself or someone else. It would look great hanging in the bedroom, entry way, living room, or in an office. This round sign comes ready to hang.